Renting a car in Saint Lucia could not be easier, Saint Lucia is a Caribbean paradise, which makes it a popular vacation destination and port of call for cruise ships. 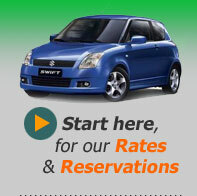 Cost Less Rent A Car offers affordable rates with easy pickup options. While you could book a few sightseeing tours, renting a car gives you the opportunity to explore the island at your own pace. 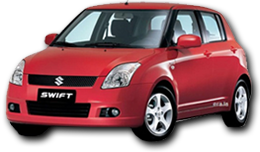 At Cost Less Rent A Car, we offer clean, reliable car rental options in Saint Lucia. Regardless of your driving ability and preferences, Cost Less Rent A Car has a rental vehicle for you. We offer rental vehicles of varying sizes from sedans to SUVs with both manual and automatic transmissions. All our car rental contracts allow for unlimited mileage, so you don't need to worry about spending too much to explore our beautiful island. We have the most reliable and comprehensive fleet of vehicles on the island, including trustworthy Toyota Corollas and adventurous Land Cruisers. During the high season (November - May), car rentals are slightly more expensive than the low season, so budget your visit accordingly. When you rent from Cost Less Rent A Car, we'll help you get the local driving permits you need, which is especially important if you're visiting from North America! In Saint Lucia, like much of the Caribbean, drivers drive on the left side of the road, and right-hand-drive vehicles can take some getting used to! We can also arrange for your car rental to be available at the airport or dock when you arrive, and you can call us at our after-hours number any time. In addition to vehicle rentals, we can help you book exciting tour experiences such as Catamaran Day Sails, Piton Climbing Expeditions, and Waterfall and Volcano tours. To learn more about our car rental options and other services at Cost Less Rent A Car, call our international number at 908 818 8506. After hours, call 201 884 6944. You can also contact us on our WhatsApp number at 1 (758) 285-2183. Harmony Suites - Harmony Suites is the perfect choice if you're looking for a hotel in Rodney Bay St. Lucia.